Halloween is almost upon us! With all the fun comes plenty of opportunities for accidents or other mishaps to occur, even to the most careful people. Today the TLC Property Management Blog is going over some Halloween safety tips to remind us all to be more aware of our surroundings and give us all the chance to enjoy a stress-free Halloween. With Halloween comes a much larger amount of pedestrians out trick-or-treating and roaming the streets and neighborhoods of Springfield, MO than you may be used to. So as a driver and a pedestrian yourself, remember that the rules of the road apply to all. Walk or drive on the right side of the road — and slowly, if you’re on the street near vehicles or pedestrians. Remember to always cross at crosswalks, obey traffic signals, and practice defensive driving. Keep track of the people you’re walking with and encourage everyone you’re in charge of to stay in their own lane and minimize your risk for accidents. 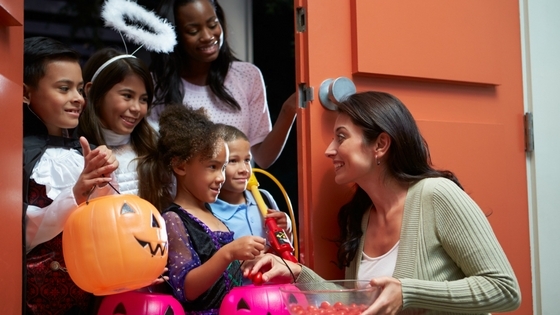 Trick-or-treating and partying can last past dark or even well into the night. While that may work for you and your plans, remember that Halloween is on a weeknight. If you or those you’re looking after have responsibilities they need to care for the next day, opt for moving your plans up an hour or two. This not only enables you to transition into the next day’s duties as seamlessly as possible, but it also helps you avoid accidents that can result from being out in the dark. While you may not be afraid of the dark or things that can occur at night, low visibility often can lead to accidents you may have been able to avoid, had you been out earlier. Sticking to the buddy system is a good idea for people of all ages! Especially if you’re out at a party where you might be consuming alcohol, having someone who won’t, means having a designated driver, or at least having someone who can help you get home safely. If you’re walking while trick-or-treating, having a traveling companion can also help you watch your kids or simply just have a fun time with someone else you trust and whose company you can enjoy. What other Halloween safety tips do you think we should all remember? Share your reminders with the rest of us by leaving a comment. Thanks for reading. Have a safe and happy Halloween!